Ireland is apparently coming out the far side of a tumultuous recent economic 'boom to bust' era which saw strict austerity, tough economic policies and an acceleration of the ever widening canyon between rich and poor. Just how improved the nation is today, or if indeed those days are behind us at all, is a topic of heated debate on bar stools countrywide and among current affairs television panels nightly. Although the burden of national debt will no doubt be felt by the Celtic Tiger cubs for generations to come, you'd be forgiven for thinking the country is booming again - no more so than in dear ol' Dublin. 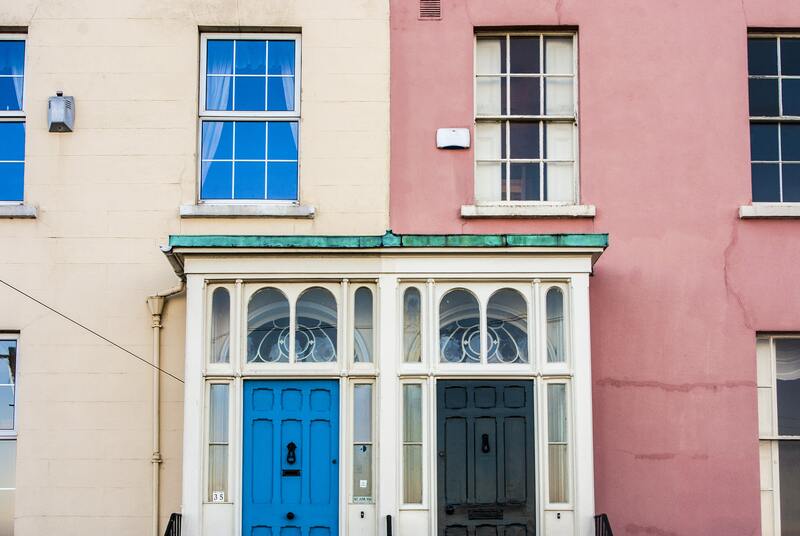 Consumer spending in the capital is consistently on the up with crazy property rental prices, people flocking to the Nespresso Boutique for 'Grands Cruz' coffee capsules and a water-tasting menu in a popular Dublin coffee shop. Yes, water tasting - that is 4 shots of different waters for €3.50. So, if you are thinking of venturing to Dublin sometime in 2016 why not start acting on it now? Use the time advantage to survey the online landscape of flights & hostels – you can be almost guaranteed that the closer you get to your desired get-away, prices will likely be a good bit higher, reflecting a continuing upward trend of visitor numbers to Dublin. 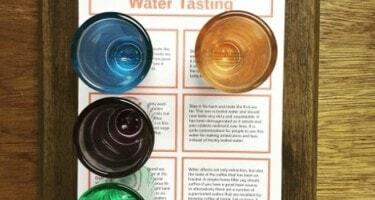 You'll need the savings to enjoy such luxuries as water tasting. 2016 marks the centenary of the Easter Rising in Dublin with a huge program of commemorative events.The Rising took place over Easter week in 1916 when, in an attempt to gain Irish independence, Irish rebels took over key buildings & locations around the city and saw intense conflict and fighting on Dublin's streets. It was a key turning point in the nation's history and a fundamental change-of-course in the struggle for independence while Irish nationalism & identity was rejuvenated in the aftermath of the rebellion. 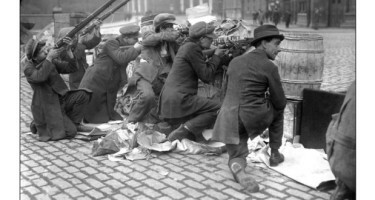 The Easter Rising is a most important and defining element of recent Irish history & identity. 2016 presents a once-in-a-lifetime opportunity for a truly remarkable insight to the events leading to Irish independence and the still relatively, very young nation through a large number of 1916 exhibitions, museum collections, tours, public events & much more. And you can, of course, discover all about the 1916 rising on our free walking tour in Dublin. Not long now until gift-giving day. Struggling to find that special gift for that special someone? Surprise them with a trip to Dublin with you in the new year. As above, use the time advantage to figure out the best prices for off-peak travel and you might just find the perfect gift for your best friend & travel buddy or much-loved family member at a very affordable price. And then you have something fantastic to look forward to, which will make getting through the January blues a lot easier. 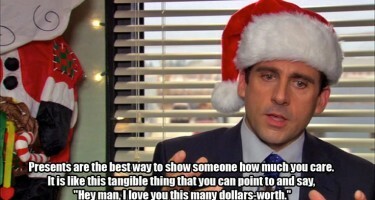 Or it can just be your gift to yourself, after all, you definitely deserve it! The Irish Republic soccer team has managed to qualify for the Euro 2016 finals in France. Fantastic! "But WTF has that got to do with convincing me to go to Dublin?" you ask. Well, if you're planning to visit somewhere between June 10th and July 10th (and provided you're not actually going to France for the finals), then Dublin is definitely the place to be. As a nation, we get collective party-fever whenever the national soccer team is taking part in any kind of competition. Even if we couldn't care less about the sport. Pubs (and streets) in Dublin will be a hive of lively party atmosphere and activity as people neglect their jobs and responsibilities to cheer on the team while enjoying the buzz. There's not really any expectation that Ireland will progress all the way to the latter stages of the finals but stranger things have happened and Ireland has always been tough to beat – there's always that underlying possibility that things just might go our way this time (and that interminable hope proved valid in the recent qualifying campaign). 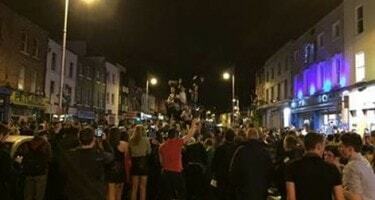 Above is a pic of the scene on Dublin's city streets on a recent Monday night when Ireland qualified for the finals. This wasn't even anywhere near the stadium....imagine the party if we win a couple of our matches in the Summer! The despicable attacks in Paris last month have resulted in an increased fear-factor for many people considering a trip to Europe. It shouldn't of course. Life is too short to worry about what-ifs, but the threat of terrorism in the wake of such atrocity will inevitably induce wariness in the minds of potential travellers for a while. As a direct result of the Paris attacks, it is likely that the Schengen agreement will be compromised, possibly meaning passport and luggage checks at border checkpoints between 26 European nations. While the terror threat rating for the likes of Spain, Belgium, France and our neighbours in the UK remains classed as severe or high, Ireland's threat level is low, indeed the lowest level possible on the grading system we use. So Dublin is an ideal destination for those whose travel plans are influenced by these kinds of factors. Thankfully the most terrifying thing you're likely to experience here in 2016 is the price of pints in Temple Bar. 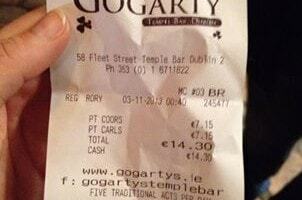 But don't shy away from nightlife in Dublin either. Luckily, The Original Backpacker Pub Crawl will still be the best night out in Dublin in 2016 where you'll visit proper pubs, avoid tourist traps and save you a small fortune! And it will celebrate its 15th Birthday, too, so keep your eyes and ears open for special celebratory deals & extras. March 17th, Saint Patrick's day, happens every year, yes. And in 2016 it falls on a Thursday – perfect for maximizing party days. Many people will be off work on Thursday so they'll be out partying on Wednesday, Thursday is Paddy's Day itself – a mad day for the craic. Then it's Friday and the weekend....Brilliant. 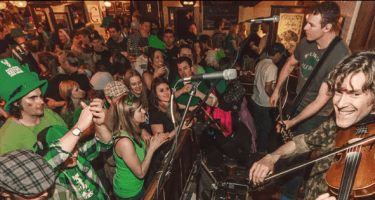 It'll feel like one massive party in Dublin over the Paddy's Day festival. But if you want to be here for it, you'd best get a move on and have a look at the many hostels in Dublin now! Beds sell out quite quickly- and well in advance- and those few beds which do appear closer to the 17th are like gold-dust and will no doubt be an astronomical price.